When you play or watch baseball, you are seeing STREAM (science, technology, reading, engineering, arts and math) in action! Both of my boys are baseball fans (one loves the Yankees and the other is a Red Sox’s fan). When I asked my younger son if he wanted to play baseball, he replied, “Do you have any idea how hard it is to hit that ball with a bat?” That was his way of saying no. He is absolutely right about what it takes to move that ball. It takes force and energy to get that ball from the pitcher’s mound to home plate. Think about the science in every pitch. Then there is the engineering of the ball, bat, glove and helmet. And let’s not forget about the math (statistics! statistics! statistics!). Did anyone read the book or see the movie Moneyball? The game of baseball uses a lot of math to figure out batting averages, runs and the speed of every pitch. · The baseball team with the most World Series titles is the New York Yankees. It is 27 to be exact. 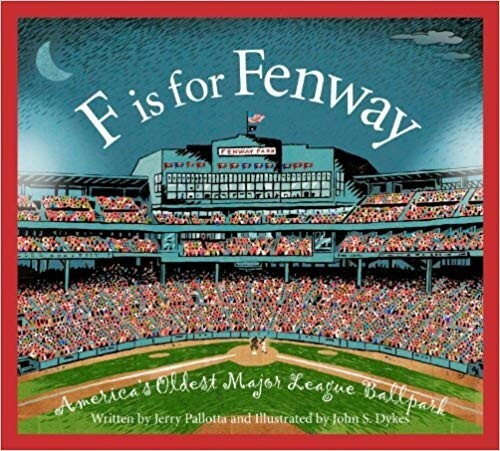 · The oldest baseball park still in use is Fenway Park (a must see and so old school). · Jackie Robinson was the first African American to play in Major League Baseball. He played for the Brooklyn Dodgers and helped his team reach the World Series. · The song Take Me Out to the Ball Game is about a girl named Katie Casey who loved baseball. There was a time when you would not have seen a woman at the ballpark. This song that we all love and sing at the seventh inning has a much deeper meaning. · Playing catch and throwing a baseball. · Measuring how far you throw the baseball and graphing it. · Collecting baseball cards (The Dollar Store sells them) and matching them. · Making a baseball book. · Going on a baseball scavenger hunt. · Collecting baseball hats and sorting them by color and logos. · Creating a baseball field with art materials. · Creating your own ballpark outside using your imagination. · Cheering on your favorite team in your jersey and baseball hats (we even dress up our Labs). · Reading a book about baseball. · Going to see a little league, minor or major league game as a family. Go Tides! Go Flying Squirrels! Go Nationals! It is like any sport, there are so many lessons to be learned about discipline, hard work, grit, stick-to-itiveness and teamwork. Not to mention, it is so much fun to take in a game with family and friends on a beautiful spring or summer day at the ballpark. Posted on March 28, 2019 by Devan Maloney and tagged openingday newe3school stream preschool baseball norfolktides fenway nationals redsox.